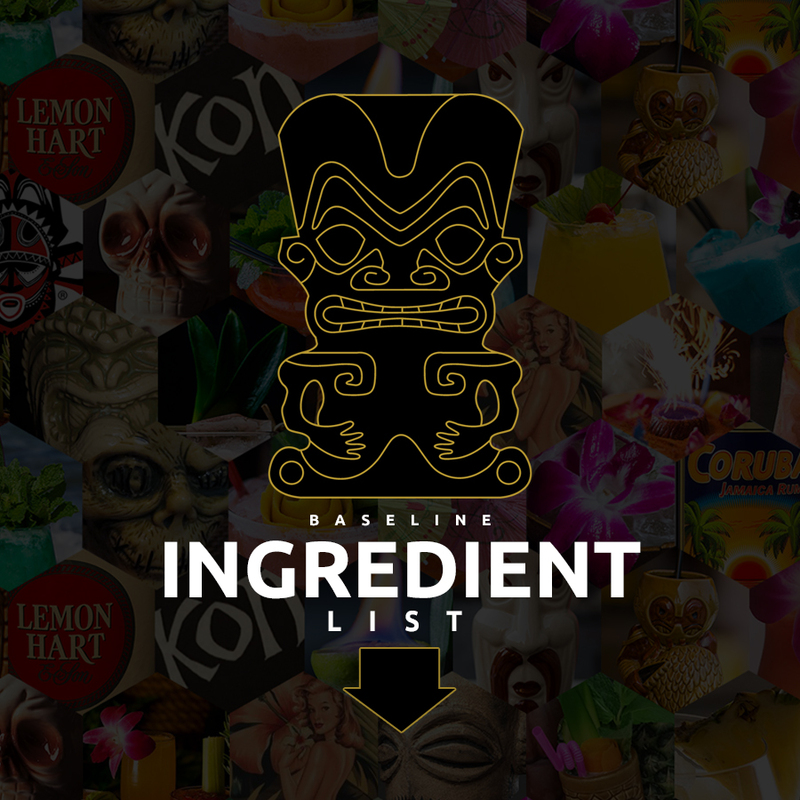 Drunken Tiki uses a wide variety of products, however, we have compiled a basic list of what we consider to be our baseline ingredients. This will help with continuity and consistency when making our recipes. NOTE: While there is always plenty of room for overlapping (i.e. viable substitutes), we are only listing brands which we believe should be strictly adhered to and NOT substituted for another brand. 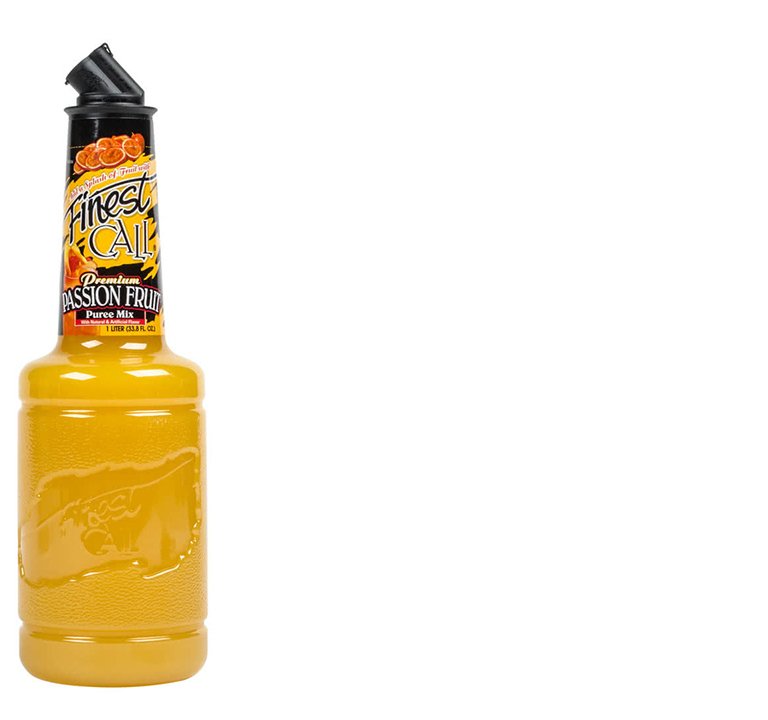 We have found Finest Call® Passion Fruit Puree Mix to be the best passion fruit syrup mixer out there. While the product itself is not a ‘syrup’ per se, it closely resembles a syrup and does the job better than anything else we’ve encountered – including (but not limited to) Auntie Lilikoi, Monin, Torani, BG Reynolds, and RE’AL Passion Fruit (squeeze) syrup. In terms of sheer flavor, Finest Call is very juicy, slightly acidic, with floral undertones and characteristic passion fruit finishing notes. Not only is Finest Call the best PFS out there, it is also one of the most economically viable and accessible options. TIP: Once opened, keep refrigerated for 12 months shelf life. If not refrigerated, expect to keep it around for 3 months. UPDATE: (October 2017): Finest Call have reformulated their Passion Fruit Puree Mix to now feature 20% juice; the older bottlings contained 15% juice. Be sure to look out for this upon your next purchase. While the sugar content has elevated slightly (43g to 47g) this is most likely due to the increase in actual juice content (i.e. fructose). We did a quick taste test and the difference is at the trace level. As such, the differentiation is not especially significant and both versions are good. Still, if you can help it, look out for the newer bottling run containing 20% juice. In terms of taste and economics, Finest Call is still the Rolls Royce of PFS. UPDATE: (February 2018): In our curious search to find out exactly why Finest Call Passion Fruit Puree is so unbeatable, we managed to uncover a compelling little detail: the blend uses a proprietary mix of real Ecuadorian passion fruit pulp (in particular, the Flavicarpa Degener variety) which is notable for its powerful aroma and tart composition. Surprise, surprise! We promise we are not reps for Finest Call! 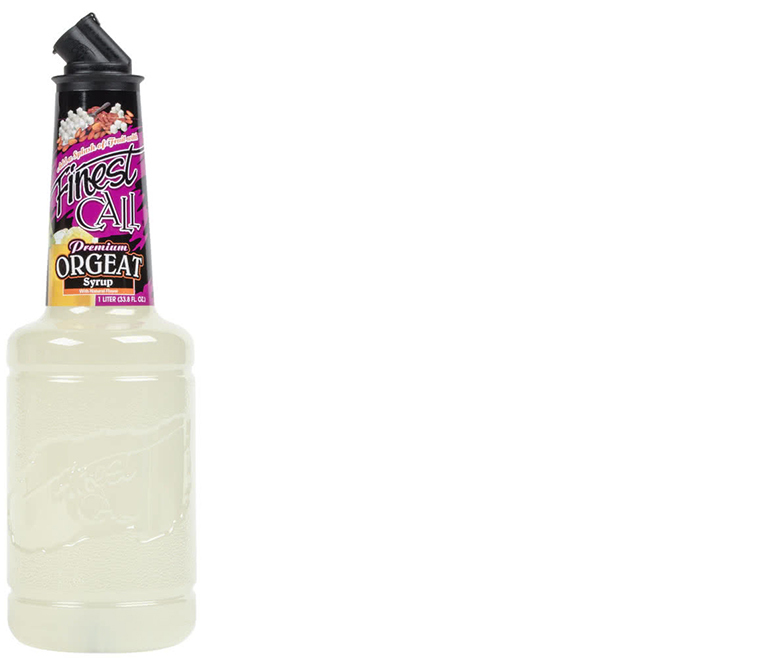 However, yet again, Finest Call® Orgeat is one of the best orgeat syrups out there. While this may seem unorthodox to many people, not least since the arrival of many other so-called ‘craft’ brands (such as Small Hand Foods, for example), Finest Call’s orgeat is pretty unbeatable. We blind tested many products and always came back to this one. With a characteristically light grey appearance and sweet profile, there’s a subtle hint of orange that comes through which really lifts the almond flavor. Confusingly, falernum is named after a famous wine of ancient times which survives in more modest form as the ‘Falerno’ (both red and white) of modern Italy. Despite this, however, the history of falernum is unclear. It is almost universally agreed upon that Fee Brothers Falernum and John D. Taylor’s Velvet Falernum are the two most commonly accepted brands. Falernum is a spicy, limey, somewhat fruity sweetener with overtones of ginger, clove, and almonds which originated on the island of Barbados in the West Indies. It was originally concocted, no doubt, for rum drinks, and remains a superb flavoring agent for drinks made of various fruit juices, and rum, gin, or vodka. 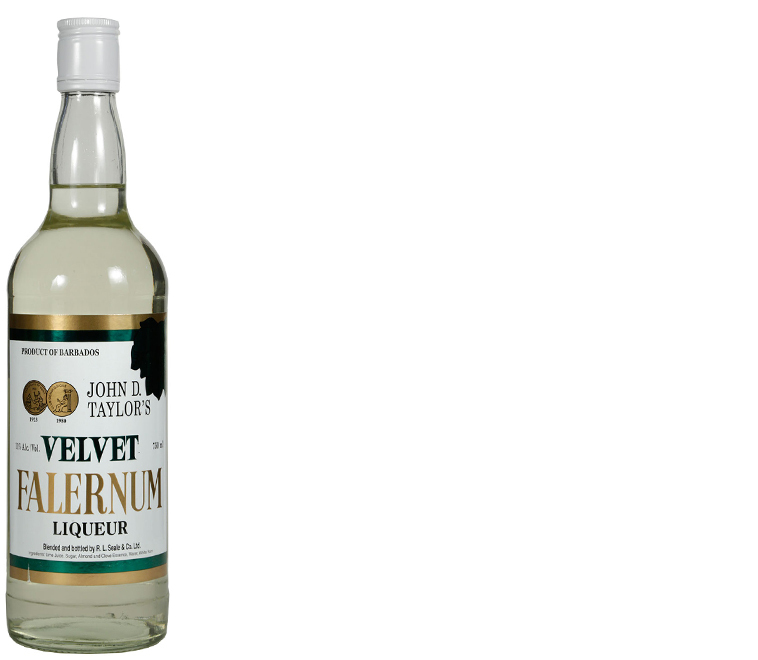 We have found John D. Taylor’s Velvet Falernum to work best in 70% of cocktails. While Fee Brothers is non-alcoholic, and denser in viscosity, it tends to be too cloyingly sweet and overpowering to be included as a general workhorse product; it works best in old-school Tiki applications, most notably in the earlier Don the Beachcomber cocktails of the 1940s. Clocking in at a low 11% ABV, Velvet Falernum is, historically, the original Barbadian brand of falernum with a heritage dating back to the earliest commercialization of rum. Today, John D. Taylor’s is made at the R. L. Seale-owned Foursquare Distillery in Barbados. NOTE: Some people use orgeat and falernum interchangeably, however, we never do this as both products have a very distinct and separate profile. By default, we will reach for Velvet Falernum unless otherwise stated. Clearly, fresh squeezed juice is the best option. However, this is not always practical. Therefore, when it comes to the many exotic juices (excluding orange juice, grapefruit juice, and pineapple juice) that Tiki calls for, Goya® fruit juice is the gold standard. Mostly referred to as either a ‘nectar’ or a ‘cocktail,’ they are all essentially juices; technically there is a difference between a juice and a nectar, however, to simplify matters, we’ll just use the word ‘juice’ here. NOTE: Once opened, keep refrigerated. The juices will last weeks without turning. Goya make these juices in mini 5 ounce ‘half cans’ which makes them the perfect little accompaniments for experimenting with if you’re not sure you will like a particular drink. Our favorite is the guava which has a really nice spiciness to it and works great with bitters and cream of coconut. When it comes to cream of coconut you might think any old brand will do. However, we wholeheartedly recommend only using Coco Lopez® cream of coconut. Introduced in 1954 by Ramon Lopez Irizarry of Puerto Rico, it soon became a staple of the Pina Colada and many other tropical-themed drinks. Coco Lopez has a distinctively buttery mouthfeel and a good coconut flavor, and is not sickeningly sweet like a lot of other products. We have our own alcoholic, housemade version of Coco Lopez which we affectionately call Coco Moloko Mix™ – in part, a nod to the aforementioned product but also in reference to ‘Moloko Plus’ (also called Knifey Moloko) – a highball cocktail drink from Anthony Burgess’ 1962 dystopian novel A Clockwork Orange. In the book, it is stated one may order a Moloko Plus with ‘vellocet’ (an opiate) or with other hallucinogen substances. Milk white in substance, minors may be served this drink since it contains drugs that have not been declared illegal. 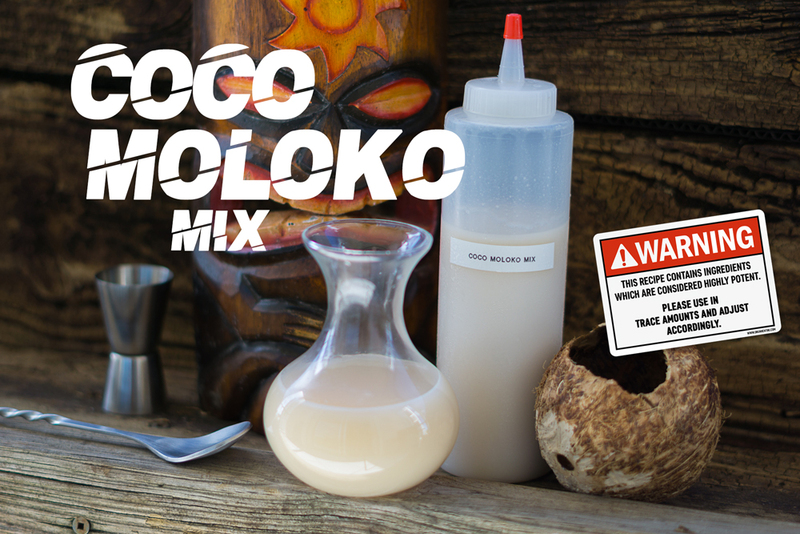 Drunken Tiki’s highly potent (and controversial) housemade ‘Coco Moloko’ cream of coconut mix. TIP: Coco Lopez is best used at room temperature, however, if you don’t have advance notice and need to use some that has been refrigerated, put the can directly on an electric stove (on high) and stir it with a bar spoon until it starts to loosen up; you’ll get a workable viscosity before the can starts to get hot. NOTE: Products labelled “coconut cream” and “cream of coconut” are two very different things. Coconut cream is usually unsweetened, condensed coconut milk. Cream of coconut, is a presweetened, syrupy product with a thick viscosity. 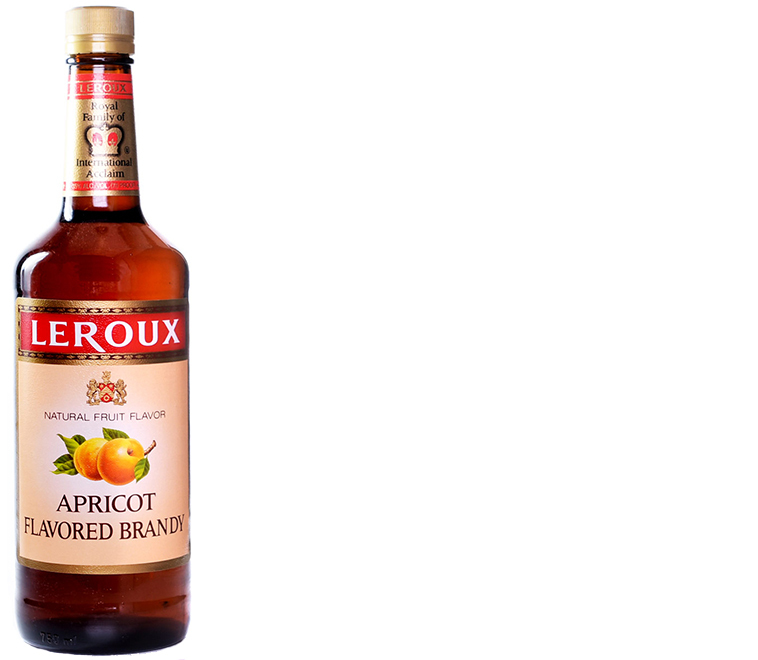 While technically not a ‘brandy’ (much in the same way sloe gin is not actually a ‘gin’), the best ‘apricot brandy’ that is traditionally called for in many tropical-style cocktails is Leroux®. The Leroux family of distillers dates back over 100 years and originated in Belgium. Today, all Leroux cordials and liqueurs are produced in the U.S. (in good ol’ Kaintucky) under Illinois-based brand owner Beam Suntory. Leroux Apricot Brandy has a high ABV of 35% and is made with the finest natural ingredients; the entire line is certified Kosher. Lemon Hart is the only overproof rum called for by name in classic Tiki. 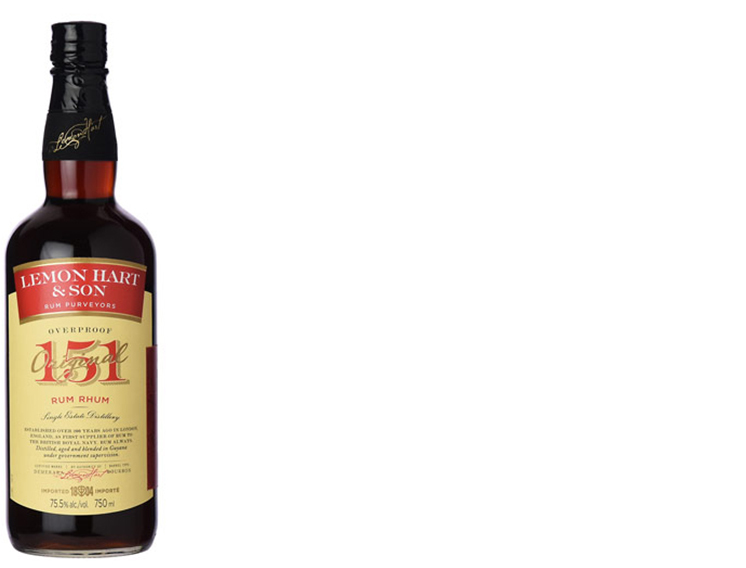 For that reason, if not for any other, Lemon Hart & Son® 151 should be the gold standard pour for anything requiring a 151-proof rum. While there has been much contention over ‘formulations’ and availability over the last 3 years, Lemon Hart is finally here to stay and with the ORIGINAL formulation. Nothing was ever changed with the formulation, contrary to popular belief. The reference standard has always (even when aged and blended in Canada) been the same. The only difference was that production of the rum – that is, the aging and blending process, moved from Canada to Guyana in 2016; any slight differentiation would be due to the trace differences in the rate of reaction, however, the brand is now 100% produced in Guyana and is wholly original and in it’s purest form. Lemon Hart rum was originally aged and blended in England (first in Cornwall, then in London) in 1804 where the differences in the rate of reaction (due to the ‘damper’ climate) would have had a trace difference in the outcome of the final product; Lemon Hart was matured slightly longer (historically, up to 6 years) in the more age-friendly climate along the London docks. The tradition of aging rum in the West India Docks initiated in the 17th century. Ageing in the Caribbean under dry conditions and fluctuating temperatures meant that the rum would be subject to high evaporation and oxidation, which helped to accentuate the rich, complex, woody character of the distillate. Meanwhile, aging at the London Docks which provided a steady temperature of 8° – 12 ° celsius and a high humidity (rarely below 95%), meant much smaller volume loss. This aging method produces a more delicate rum with a light floral and fruity aroma profile and less wood impact. NOTE: In most parts of Britain, rum still means, a dark, almost black, sweet spirit. URM (United Rum Merchants) and Seagram had long been shipping rums from Barbados, Guyana, Jamaica, and Trinidad to Scotland, where they were aged and blended into brands like Lamb’s, Wood’s, Alnwick, OVD, and Black Heart. Even today in Scotland or Ireland, you’ll more likely find people drinking Trawler Demerara rum or Sea Dog Jamaica rum than Scotch. One of our many secret weapons. Tuaca is a brandy-based Italian liqueur, infused with vanilla and citrus with an alcohol content of 70 proof. Tuaca isn’t a brandy, it’s a sweet, brandy-based spirit. Originally created in the Italian port city of Livorno in the 15th century, it was recreated by a pair of Italian brothers in the 1930s (Gaetano Tuoni and Giorgio Canepa), who combined their names together to produce the namesake drink: Tuaca. It proved popular with US troops stationed in Italy during World War II and was first imported into the USA in the 1950s. We love to shoot Tuaca chilled (if you keep the bottle in the freezer, a hidden, tattoo-like logo mysteriously appears in blue on the bottle’s front label) but use it as one of our ‘secret weapons’ in many of our Tiki-style concoctions. While Tiki traditionally calls for vanilla syrup, a few recipes also call for a vanilla liqueur. While most people reached for Navan (sadly, now defunct), Liquor 43, Kajmir, or various other types of brandy-based vanilla liqueurs, Tuaca smokes everything we’ve tried out of the water. Simply put: it’s one of the best vanilla liqueurs available today. 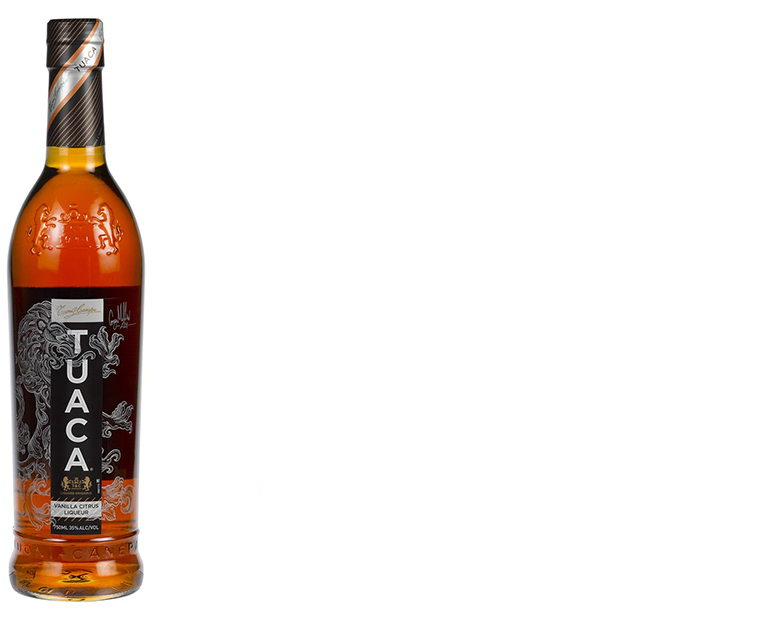 NOTE: Tuaca gets misrepresented due to the fact that the product is not forcibly marketed as a vanilla liqueur; it’s actually a combination of vanilla, citrus, and light spice, however, the overriding profile is of candied vanilla bean.